Miami, August 2017. 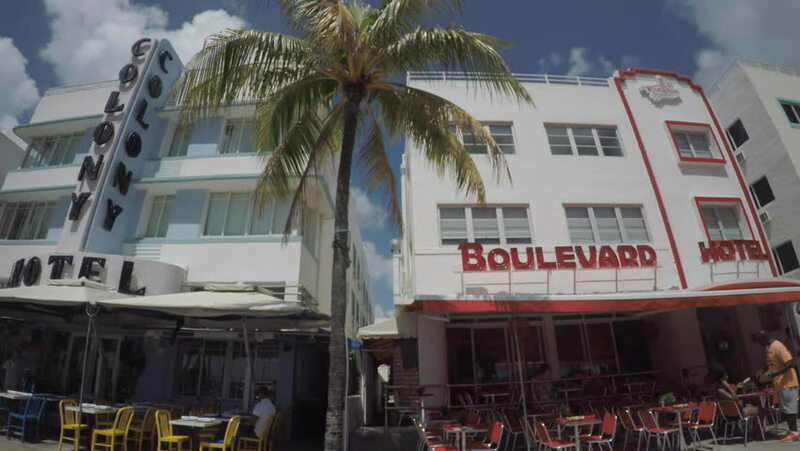 Rider shot of Ocean Drive with view of the vintage Art Deco hotels. 4k00:14LOS ANGELES, JUNE 5TH, 2018: Pan down from sky to sign and entrance to the Fox Studios on Pico Boulevard in Century City, California, with golf cart turning around corner. Disney acquired Fox in 2019.